Solid sterling silver belcher chain. Available in 50cm, 60cm or 80cm lengths. Each link measures 0.2cm in width. Solid sterling silver belcher chain with a 23.5 karat gold coating. Available in 50cm, 60cm or 80cm lengths. All 0.3cm in width. Solid sterling silver ball chain with a 23.5 karat gold coating. Available in 60cm or 80cm lengths. 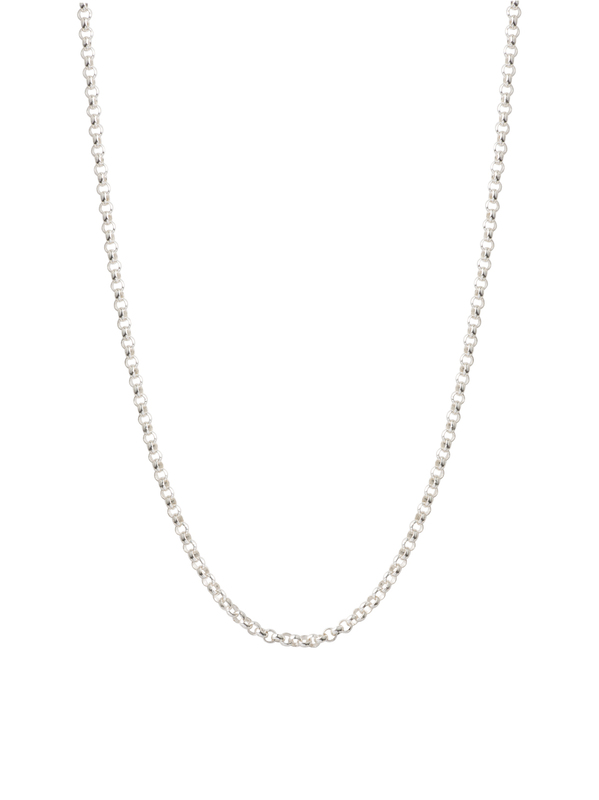 Solid sterling silver ball chains available in 45cm, 60cm and 80cm lengths. Suitable for single pendants or combining smaller clusters of charms.